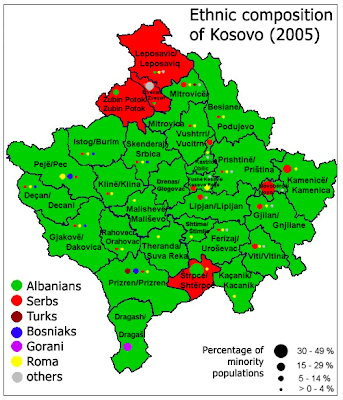 Kosovo at present has two official languages: Albanian and Serbian. The country has a Turkish minority of 20,000 (1% of the country) and a history with the language as well so Turkish used to be an official language, but this was removed in 1999. At the moment it has the status of a recognized regional language, being official in Gjilan, Vuchitrn, Prizren, Mitrovica, and Pristina. This piece of news in Turkish says that Ramush Haradinaj (former prime minister and leader of the Alliance for the Future of Kosovo (AAK) wants to see Turkish as an official language of the country and said he will be sending a letter to that effect to the president of the Assembly Jakup Krasniqi. Haradinaj said that making Turkish an official language along with Albanian and Serbian would be good for not only democracy but also protection of human rights and freedoms in the country.